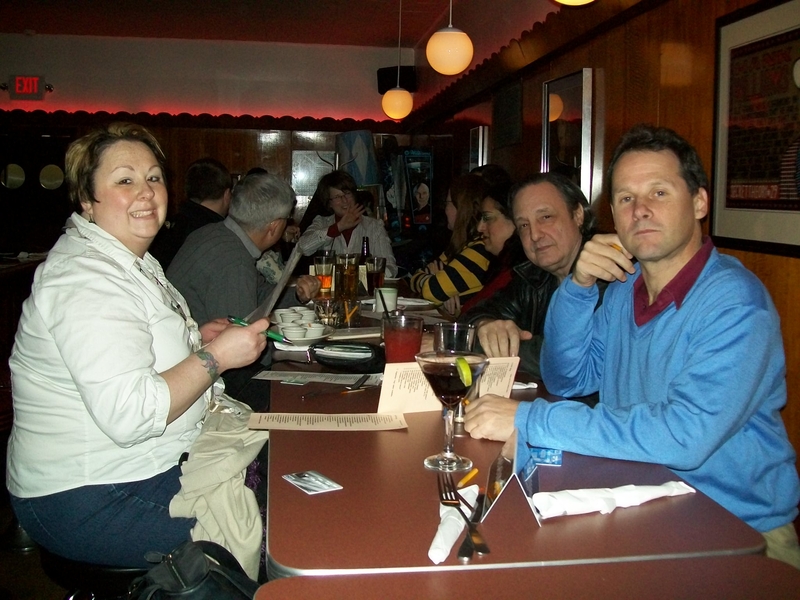 My dining out group recently ate at a great little place called the Happy Dog. I had heard about it from other food bloggers, and definitely wanted to give it a try. It seemed like a cheap and fun place to eat, so I scheduled our dinner in early January after the holidays when money is tight for most people. 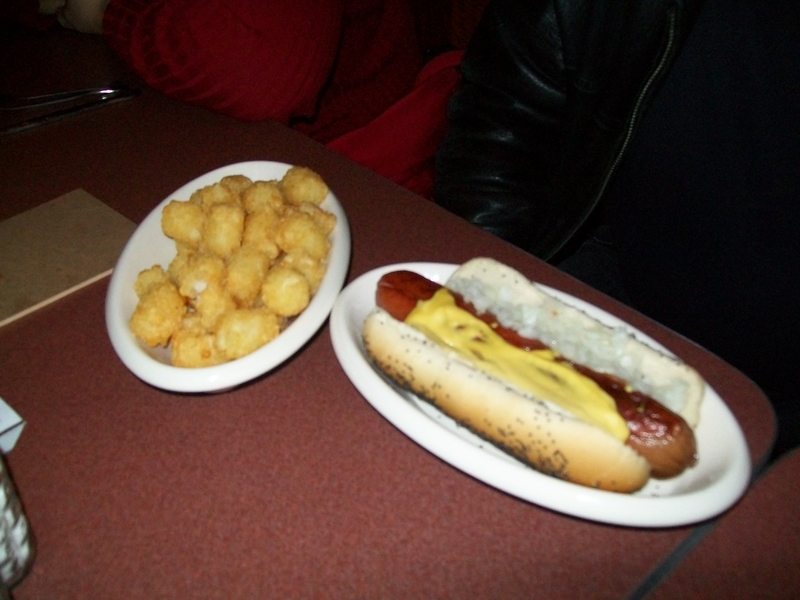 There are only three things on the menu at the Happy Dog – a quarter pound hot dog ($5), tater tots ($2.50) and french fries ($2.50). 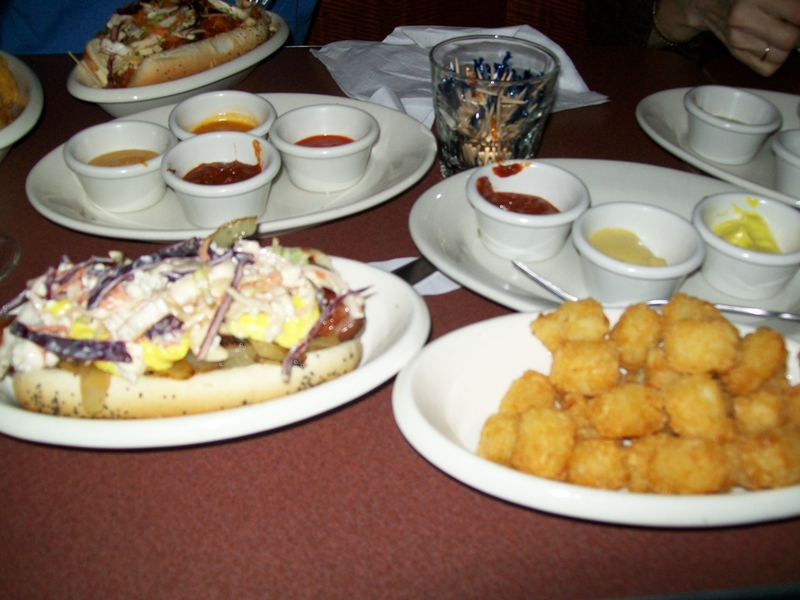 They also offer vegetarian options, including a vegetarian hot dog, for the vegetarians in the group. The thing that makes it fun is that they offer 50 toppings to top your food with, from vodka sauerkraut, blue cheese cole slaw, kim chee, Bourbon baked beans, Cheese Whiz, pineapple-ginger-currant chutney, and homemade ketchup to rainbow sprinkles and chunky peanut butter. There are also a ton of toppings and dipping sauces available for the tots and fries. You select your toppings on a check list using a putt-putt pencil (I don’t know the technical term for it) and the sky’s the limit. There is no extra price for each topping. 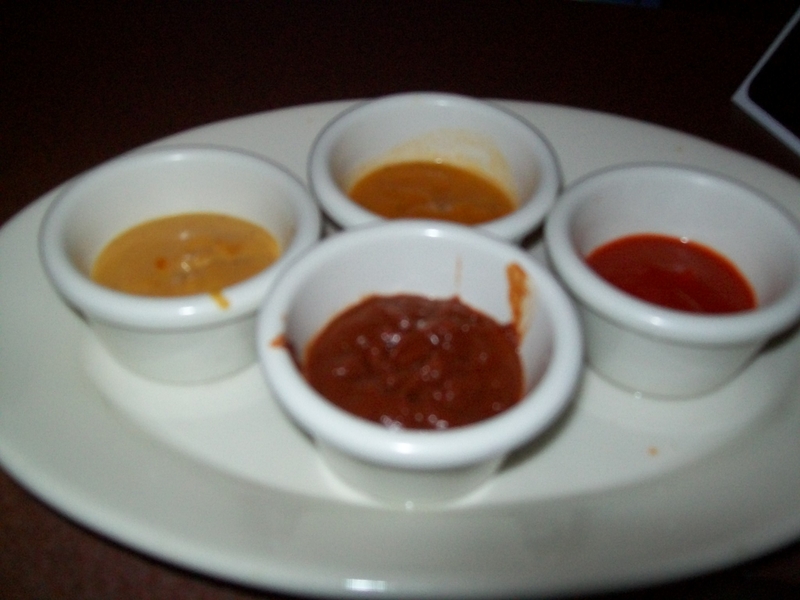 The servers were very attentive and brought out lots of sauces for us to try. One of my friends went old-school, choosing just mustard and onion on his dog. I went for the blue cheese cole slaw, stone ground mustard, homemade ketchup, and dill pickle. Yet another of my friends loaded his hot dog up with 7 toppings. I don’t know how he ate it, but it was definitely a feat. I think a knife and fork were involved. I know I used a knife and a fork for mine and I only had 4 toppings. Next Next post: AMP 150 is off the chain!